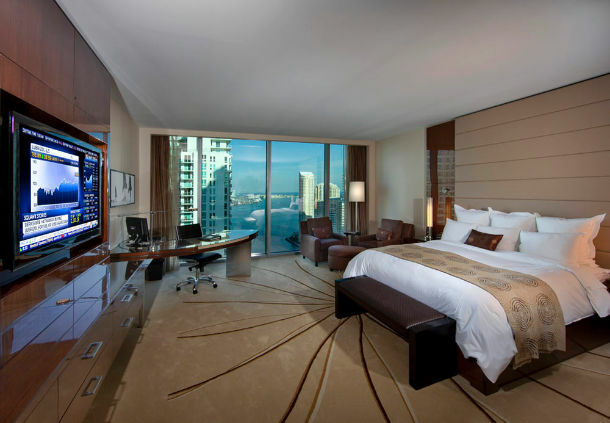 Award winning JW Marriott Marquis Miami infuses sophistication, design, art, fashion and technology into a diverse landscape of business, meeting and pleasure travel pursuits. 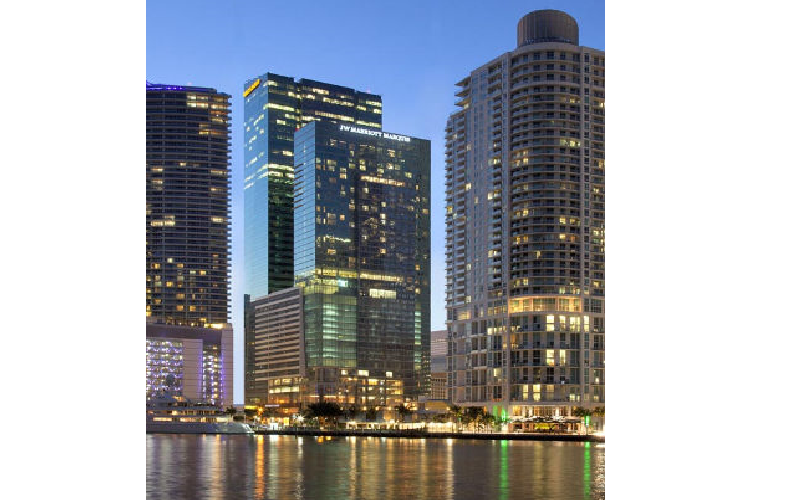 Located in the heart of downtown Miami, close to the city’s exciting Wynwood Art District, the new Frost Science Museum, the Perez Art Museum and the world-renowned Miami Design District, JW Marriott Marquis Miami has become the arts and culture hotel in the middle of it all. 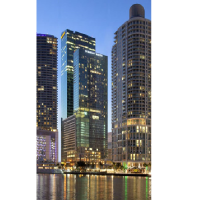 Right at the gateway of the Brickell Financial District and a short drive from South Beach the hotel is perfectly placed in Miami’s epicenter. 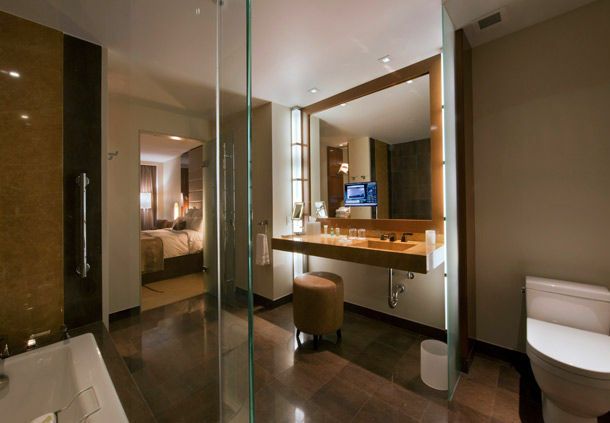 The hotel’s blend of sleek and modern design boasts 313 stunning guest rooms with state-of-the-art technology and luxurious bathrooms. Relax and unwind by the stainless steel sky pool, indulge yourself at Enliven Spa or enjoy a divine culinary experience with award-winning Chef Daniel Boulud at db Bistro Moderne. 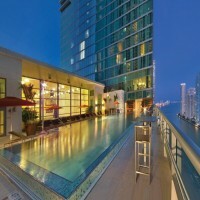 Concierge lounge access, Complimentary Continental breakfast, hors d'oeuvres & non-alcoholic beverages. 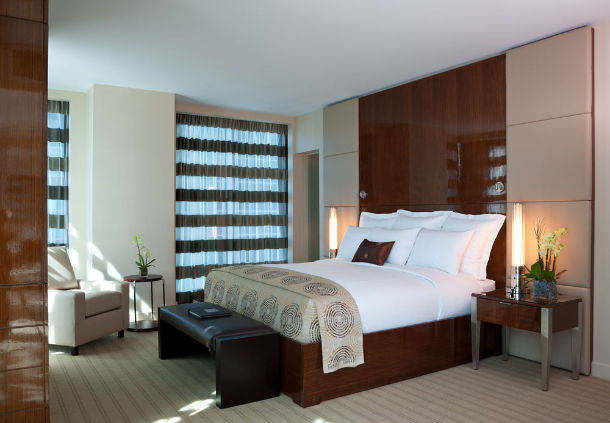 Guest room internet $12.95 per day is waived for Marriott Reward members. You may sign up at any time prior to arrival. One night plus tax is 100% non-refundable on February 5th, 2019.